The Taco “00” series pump line is well known for their durability and performance both in the plumbing and heating industry and also commonly used in the HVAC field as well. The Taco 003, 004, 005, 006, 007, 008, 0010, 0011, 0012 and 0013 cartridge pumps were designed with the service professional as well as the service industry in mind. The 00 series has something special that most in line circulators do not have and that is a replaceable cartridge that can even be replaced right in the field. Removing and replacing the taco cartridge can be quick and easy if you have the proper tools. 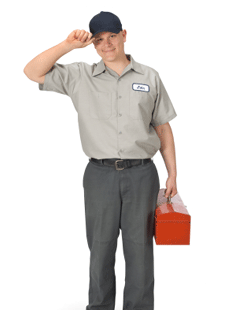 You will need a basic open end wrench set as well as a adjustable crescent wrench. The first thing you will always want to do before working on the pump is to make sure that the electrical power is off to the pump. Once you have made sure that the power is off you will also want to make sure that the pump is “valved off” or another words there is no liquids going though the pump anymore because you have it isolated off. Lets now talk about how to replace the cartridge in a 007 pump of any other “00 series” pump. Get out your wrenches that we mentioned above as well as the new taco cartridge that you are ready to replace. Here are the steps to replace the 00 series cartridge. 1) Make sure the power and the water running through are off to the pump like we mentioned in the above paragraphs. If you are not sure how to isolate the pump or how to shut the power off make sure to might out before going any further. You can not effectively change the cartridge in the taco 00 circulator unless this first step is done. 2) Once the power and pump have been isolated you will want to remove the bolts that connect the volute to the motor body. These bolts should be size 5/16 and there will be four of them, one 5/16 bolt in each corner of the volute. Make sure to have a bucket underneath the pump when losing the bolts to catch the water that is in the pump volute. 3) Now that you have removed the pump volute you can pull the cartridge from the plate and motor and replace it with your new cartridge. You will also want to replace the o-ring on the pump volute with a new one. Make sure to use a tad of lubricant on the o-ring to prevent the o-ring from drying out. 4) Once you have pulled the old cartridge out and now placed the new taco cartridge in your 00 series pump you can reinsert the volute bolts and re tighten them back up. 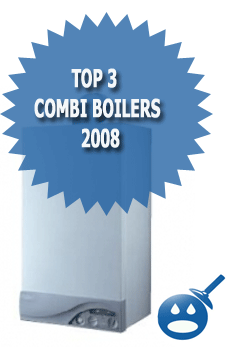 5) You should now have the cartridge installed and be ready to turn your water supply back on as well as the power. Always make sure to turn the water back on first to check for leaks before turning the power on to the pump. You will want to do this because when the pump is running there will be more pressure Vs when the pump is off, so if you have a leak there will be less water everywhere if you check when the pump is off. 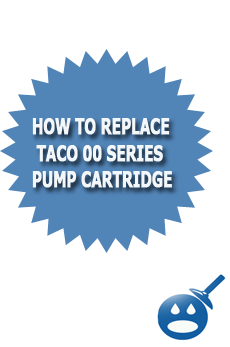 6) If you have turned your water back on and the pump is running smooth now you have successfully changed the cartridge in a 00 series Taco Pump. The Taco 00 series is one of the best pumps to work on in the field because of how easy it is to service and replace parts as we just showed you above. One popular and often asked question is “Can I use my 007 pump in a swimming pool application?”. The answer to that question is no because the007 pump is not UL listed for that application. does the Taco pump 009 have to be horizontal or can it be installed vertical? Where can I buy a 008-044RP cartridge assembly and 008-005RP casing O-Ring? My location is central florida. I have leak that looks like it is coming out of either the square flange where the 4 bolts connect the housing to the motor assembly, or ( most likely) the circular seal that I assume is the “o” ring seal of the cartridge. This happens during boiler shutoff at night ( thermostat reset) and I assume it was caused by thermal cycling. My question is: where is this leak and what is the fix. I would very much appreciate your response. Thanx so much for uour quick reply. Is that 0-ring the same as the one for the cartridge? Is there a drawing that shows it? How do I describe it to a HVAC parts supplier? BTW, I couldn’t pull up the 007 stuff you suggestd.It said that “hot-linking not allowed”. Hi all. I have a question. My pump ( TACO ) that contains a 008-044RP cartridge is noisy when running. 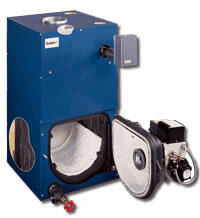 It is installed in my solar water heating system. In addition to the noise the relief valve on top spits out liquid ( this is a new development ). The cartridge was replaced by a local plumber just 2 years ago. Is it time to change it again or do i have another problem. From reading your instructions I’m assuming it is not necessary to turn off the water heater to replace my Taco 006 BC4. Is that correct?